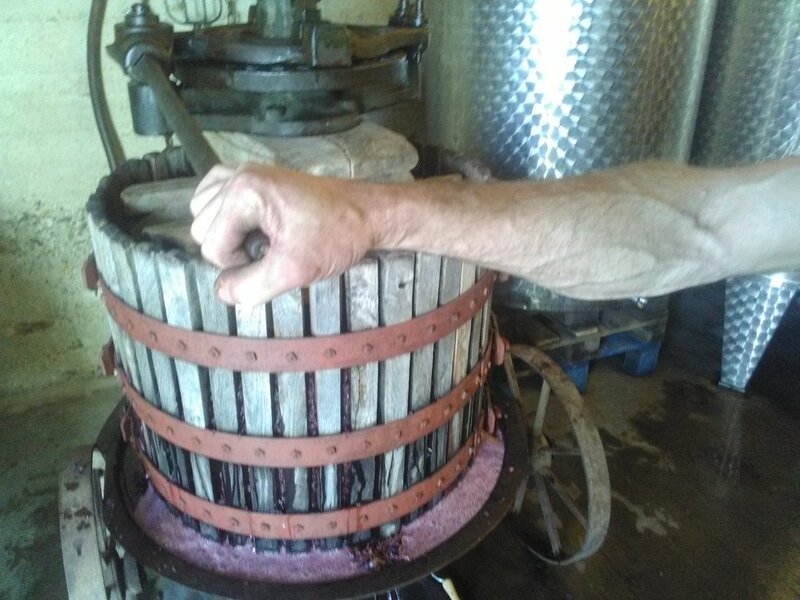 After 15 years of experience in organic winemaking, Agnès and Philippe Badea purchased a small, 4 Ha plot of old vine Grenache in the small village of Tulette, in the heart of the Côtes du Rhône. Throughout the process, they have been supported by their friends and family. In return, they share their love of their land, vines, and their generous, lively wines. When they set out on this venture, Agnès and Philippe’s loved ones said they were ‘zinzin’ (slang for cracked, bonkers, nuts). It is a title they proudly took up, naming their wine ‘Foulée des Zinzins’ – ‘The Stride of the Crackpots’. As whimsical as their wine names and labels may be, the Badeas take their efforts in the vineyard and winery seriously. Their vineyards are planted exclusively with Grenache vines between 30 and 70 years of age. They love and respect their land, organically farm their vines and are certified as such. The grapes are hand harvested and fermentation is with native yeasts. The wines are not fined or filtered. The results are generous, elegant wines that are an honest expression of the famed wine region where they are made and the dedicated people who make them. Agnés and Philippe Badea make only 1,000 cases of wine total each year.